The ACUS One 10 Wood is the flagship of the acoustic amp line. 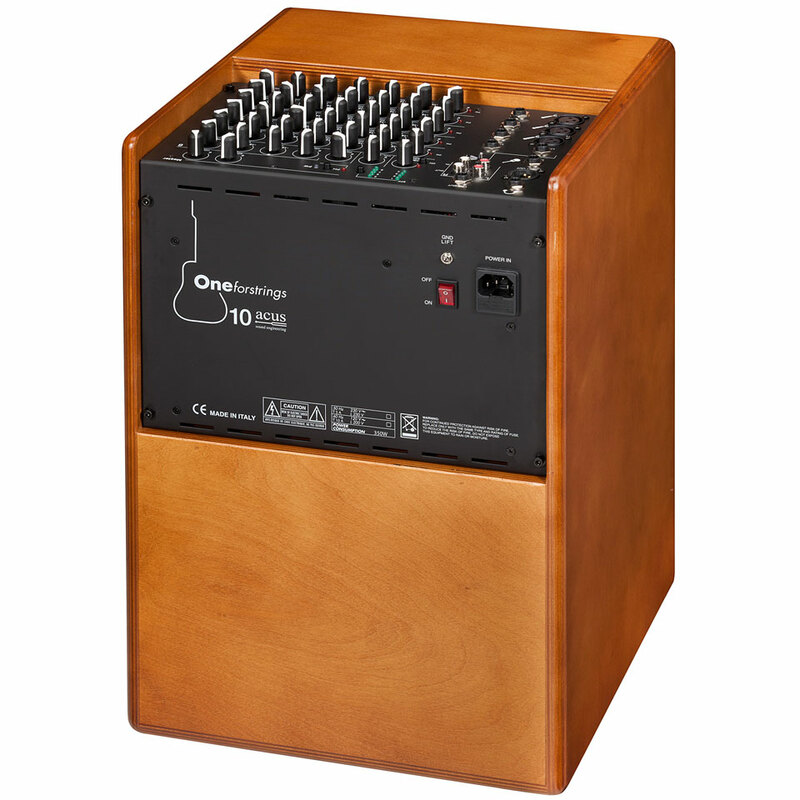 The amplifier convinces with a clear arrangement of the channels. 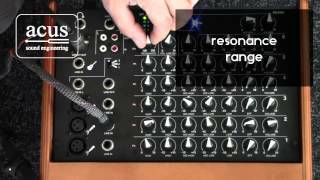 Microphone use poses no problems, unlike some competitors and a gain control on the channels helps to use the potential of the amps completely. 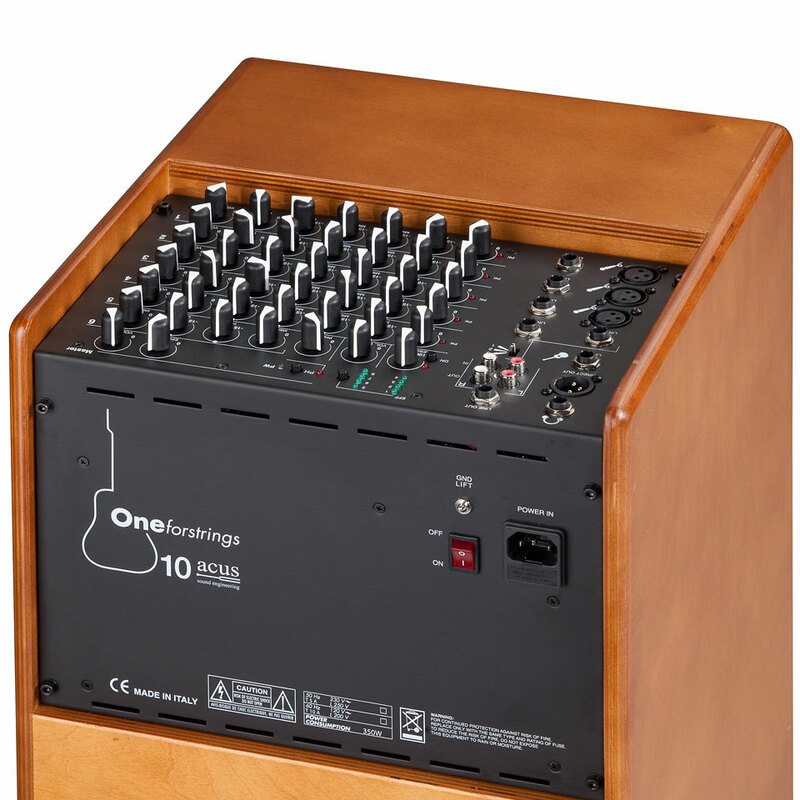 The noise performance of the Acus One 10 moves on absolute top class level that engages the equalizer and the linearity is remarkable. 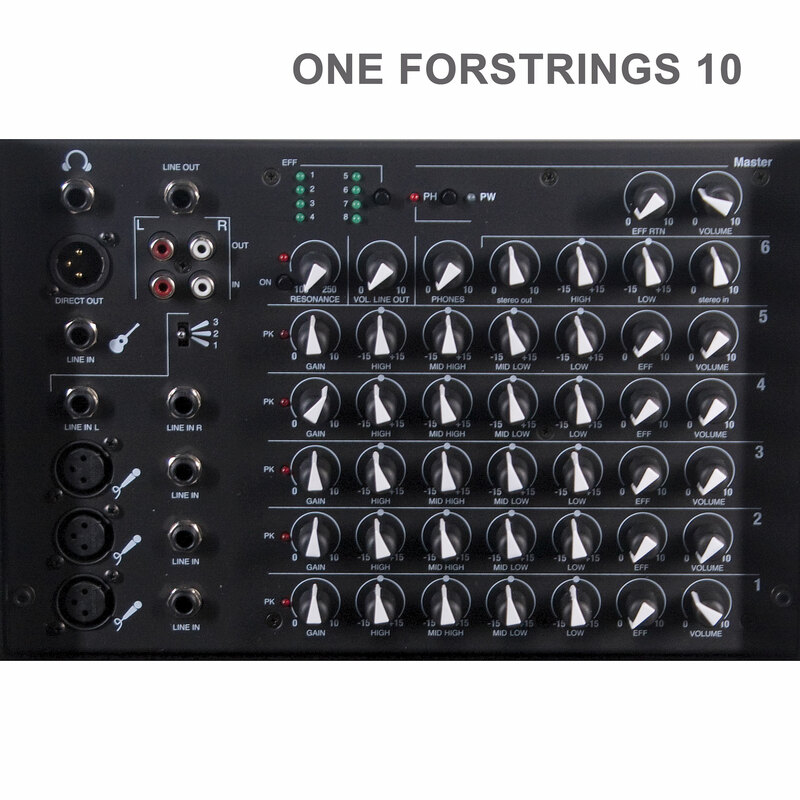 The Acus oneforstring 10 developed with its 350 watts enormous pressure, without being spongy. Even soft sounds are just as precisely and dynamically implemented, as they are played. Power socket / power cable in delivery .. The Italian manufacturer Acus has made itself a good name in the field of acoustic instrument amplifiers. 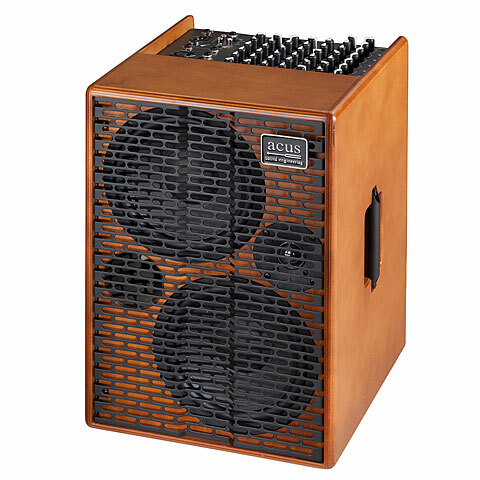 Compact combos with sophisticated tone control, sufficient power reserves and natural, transparent sound belong to the range of Acus products. · Show all articles of the brand Acus.